Just moments before, the scene had been anything but frantic. We’d all been drifting in the raft in calm emerald-colored water in the foothills of the Himalayas. On one bank of the river was a long beach of beige stones leading to a pink Hindu temple, and on the other were mossy boulders and towering slabs of rust-colored rock. All around us were lush peaks rising from the river valley. As we heard the sound of water rushing down into our first major rapid of the day, adrenaline kicked in. “Let’s pull forward, guys,” shouted the river guide from the back of the raft. The seven of us stabbed our paddles into the waves, exhilarated. 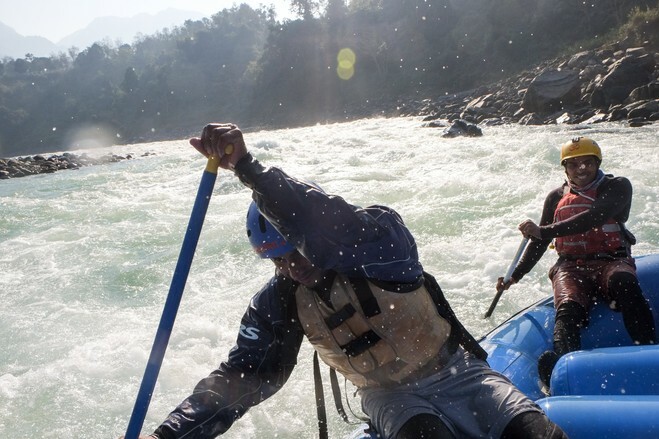 The thrill of riding white-water rapids on one of the world’s legendary rivers, and taking a plunge in its sacred waters, draws around 50,000 rafters to the mountain town of Rishikesh during the paddling season, which runs September to June. Think of the Ganges, and images of a dark soup of industrial and human waste, and the funeral fires on the banks of Varanasi, come to mind. But as it passes through Rishikesh, the river is still close to its glacial source, relatively clear and stunningly green. It is wide with long sections of flat but swift-moving water interrupted by a handful of class 3 rapids—sometimes strong enough to flip an eight-person raft. 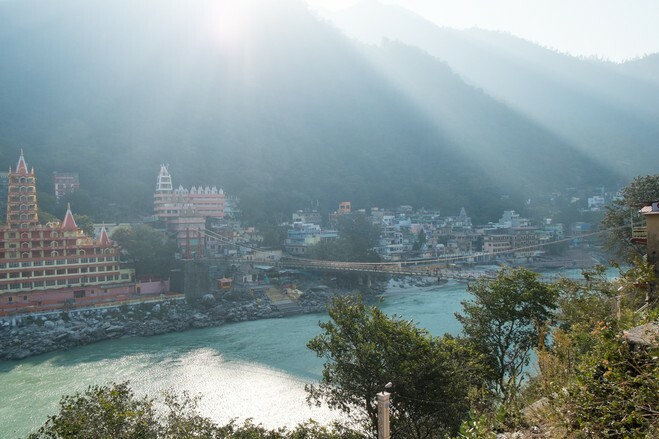 Not shy of self-promotion, Rishikesh, a town of about 100,000 people a six-hour drive north from Delhi, bills itself as the yoga capital of the world and the rafting capital of India. It’s also popular with Hindu pilgrims, drawn to its sacred shrines, and Beatles’ worshipers—the Fab Four arrived in 1968 and spent several weeks at one of the hillside meditation retreats. 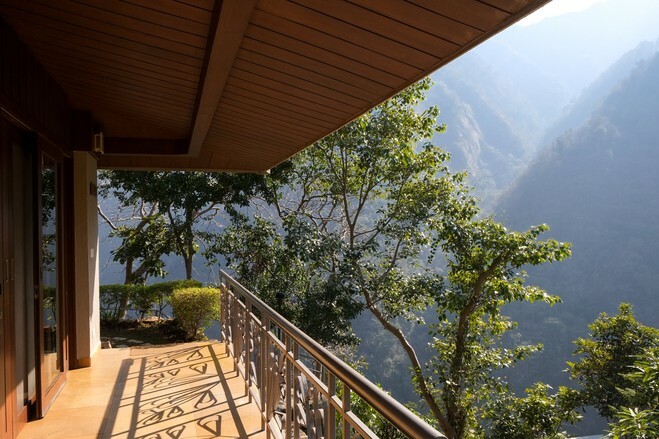 In the decades since, rampant construction of yoga and meditation ashrams, guesthouses and hotels, cafes and shops, and headquarters for rafting and trekking companies has cluttered the hills. Spirituality and the Ganges have been commodified, with entrancing but chaotic results. Lining the switchback lanes, shops and lean-to stalls overflow with tunics, incense, boiling pots of milky tea and statues of Hindu gods. 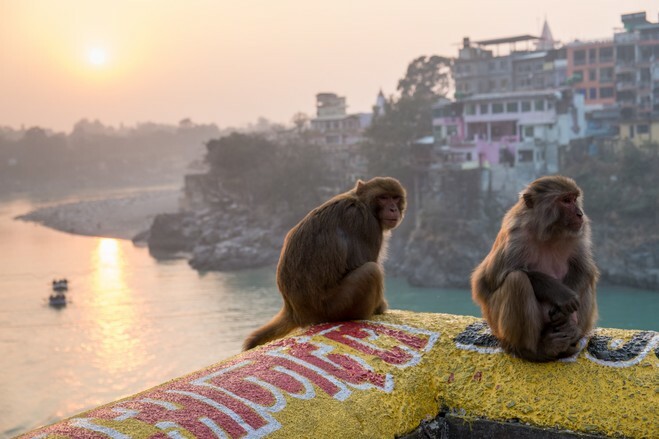 The town’s two suspension bridges, wide enough for a few people, are clogged with Indians in saris, Westerners in harem pants, honking motorbikes, dung-dropping cows and mooching monkeys. For adventure travelers, it’s difficult to know which rafting business to choose. Tourism officials have licensed about 250 of them. Most offer half-day paddles down river, but you can also book overnight camping and rafting trips, as well as multiday excursions. 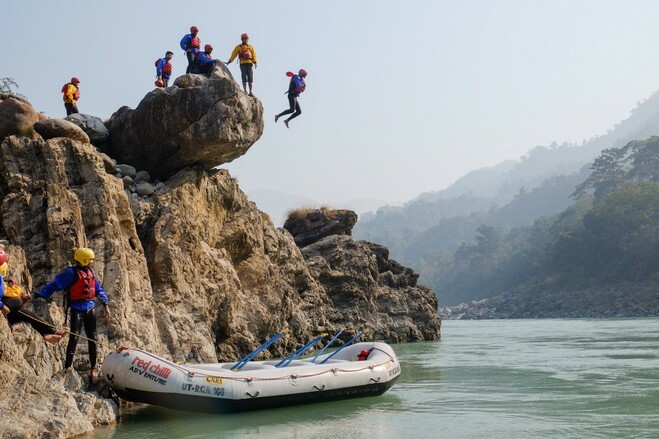 According to longtime rafting operators, the vast majority of tourists on the river are Indian, rafting for the first time and not strong swimmers. The combination of their inexperience and the power of the river can be deadly. In the last five years, the local media has reported five rafting deaths, and while I was there, a woman died after her group’s raft capsized. Veteran guides say that about half of the operators are not properly trained or equipped. It’s wise to choose a company with seasoned guides and safety kayaks that accompany the rafts and can quickly reach castaways. With recommendations from an Indian white-water rafting association and several guides, I selected Aquaterra Adventures. The owners have been rafting since the 1990s and run an elegant hotel called Atali Ganga, a 35-minute drive from Rishikesh, tucked in a peaceful, forested mountainside. For about $200 a night, you get three delicious buffet meals and a choice of two activities such as rafting, kayaking or hiking. I rafted on two of the three days of my stay, starting with a 7.5-mile paddle with a group of young technology workers who were staying at the hotel on a retreat. After a tranquil start, the seven of us were swept into a rapid known as Three Blind Mice. It was like a washing machine, tall waves rising up, curling back. The raft buckled into them as the bracing water washed over us. Soon, we were slamming into even bigger waves, at least 10-feet high, and Anupam Dubey took his detour into the water. We couldn’t spot him at first, because he was under the boat. And then he surfaced, a few feet away. I grabbed his hand and, remembering our briefing, latched onto his life jacket lapels, dragging him into the raft on top of me. The second day was a longer ride, 16 miles, with three other passengers—a husband and wife and a college student, all from Mumbai. After we successfully navigated Three Blind Mice, our guide asked if we wanted to hop out in our life jackets. He assured us it was safe, and I leaned back and splashed in, not noticing the chill of the 65-degree water. I bobbed downstream feet first, enthralled by the forested hills. A glimmering sandy beach on the shore seemingly zipped by. For many Indians, the dip is divine in another way. 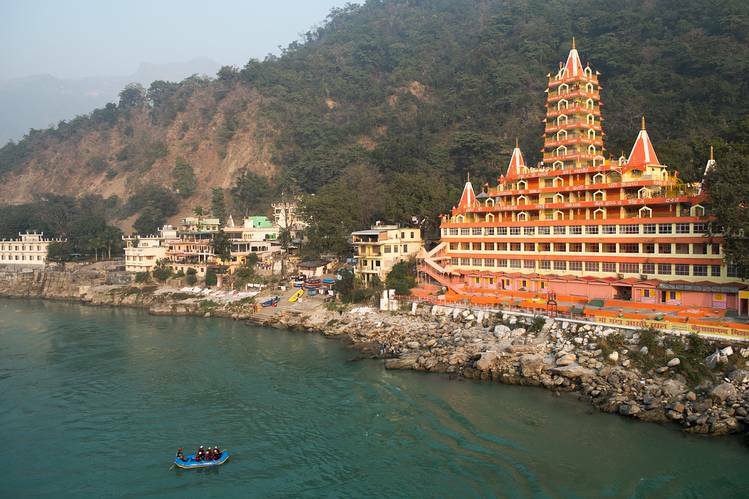 Hindus believe that the goddess Ganga descended to earth in the form of the river. Bathing in her is said to wash away sins, and if your cremated remains are scattered into the water, it’s believed your soul can be freed from the cycle of reincarnation. The river carries thousands of years of prayers, meditation and liberation, according to Hindus, and its inner vibration is the cosmic sound of the universe, Om. “Ganga maiya ki jai” or “Glory to mother Ganga” cheered the raft-full of Indians as we paddled by, shaking off the chill of our swim. Over the course of the day, our raft was sometimes the only boat on a bend of the river; other times, it was one of half a dozen floating downstream. Toward the end of the run, a flotilla of rafts had put in and paddlers waited in line to jump 20 feet from a shelf of rock into the water. 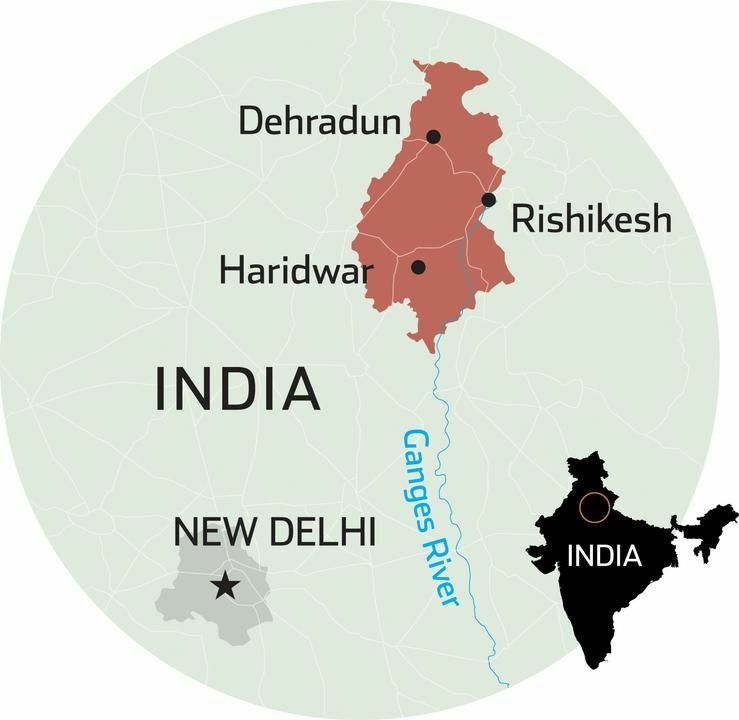 Getting There: Land in New Delhi and hire a car for the 6-hour drive north to Rishikesh. The travel service India Package Tour charges about $125 one way for up to three people. indiapackagetour.in. Staying There: Yoga and meditation ashrams like Parmarth Niketan or Rishikesh Yog Peeth, rent rooms with vegetarian meals included, but without TVs or carpets, for about $20. 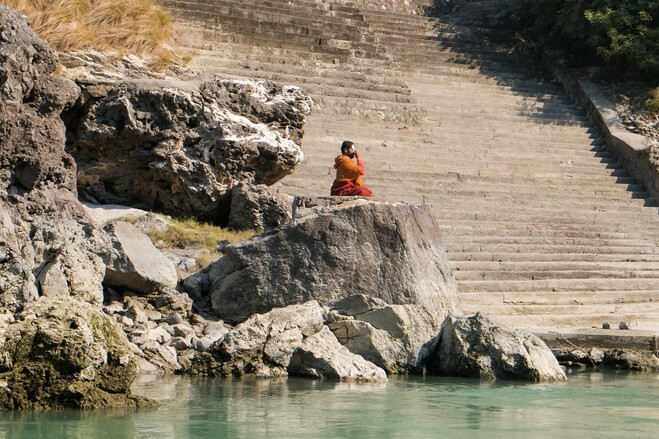 parmarth.org, rishikeshyogpeeth.com. Among the higher-end hotels overlooking the Ganges, Atali Ganga offers 22 handsome cottages with floor-to-ceiling windows. From about $200 a night, ataliganga.com. Rafting There: Trip prices range from a half-day paddle for about $20, to an overnight camping and rafting package for about $45, to multiple-day journeys for several hundred dollars. Long-established companies with expert white-water guides include Red Chilli Adventure, redchilliadventure.com; Aquaterra Adventures, aquaterra.in; Snow Leopard Adventures, snowleopardadventures.com; and Himalayan River Runners, hrrindia.com.